You are in Home > Blog > Tesla Powerwall Testing – Now LIVE! Having recently become Tesla Energy Certified Installers, we were really excited to get hold of the newest version of Tesla Powerwall as soon as it became available. We feel that carrying out testing the products and the process as a whole on behalf of our customers is crucially important in being able to provide the best products and services in the future. After many hours of comparing products, training, research, gaining qualifications, we finally arrived at committing to purchase a self consumption battery system for ourselves. 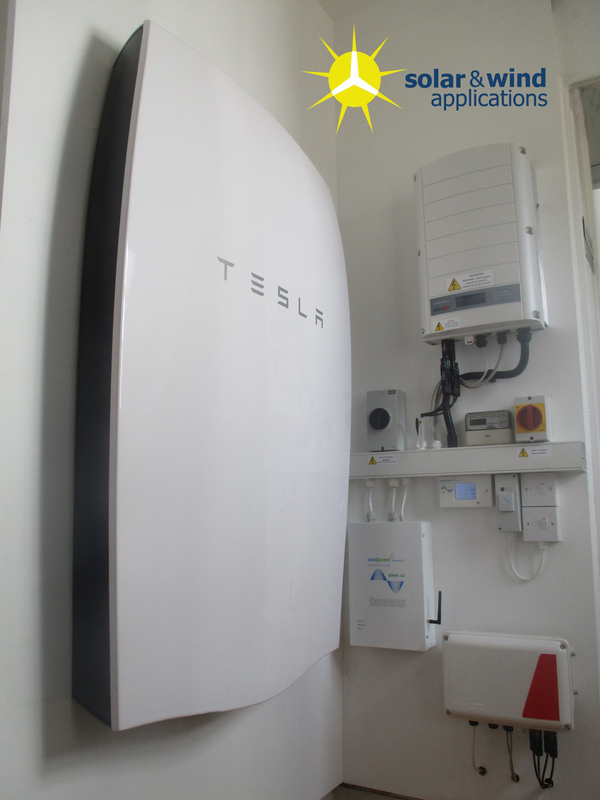 We chose the very desirable Tesla Powerwall paired with the SolarEdge inverter system. It’s very important to note that these types of products are complicated, and what works in one scenario wont work for all. If you’re interested…ask us, we’ll help guide you! For several reasons, in part surrounding grid connection permissions, we opted to go for a DC coupled arrangement. This means that the battery is connected between the module array and the inverter. This is what our original “test bed” looked like, before the changes made recently…. – Being able to compare yield performance of our array on the module level “optimised” SolarEdge system compared to our previous single MPP tracker set up. Our ground mounted array has some shading, so this will be interesting. There are many advantages to SolarEdge, and we already have many installed systems, but real comparison data will serve to back this up nicely. -Being able to observe any degredation of our 4 year old modules, or any mismatch. -Reducing grid connection costs and lead times. – Battery system losses will negatively impact on the generation meter reading, reducing FIT payments. It’s not yet clear overall what this will be in annual terms, but we do know that there will be some small loss here. 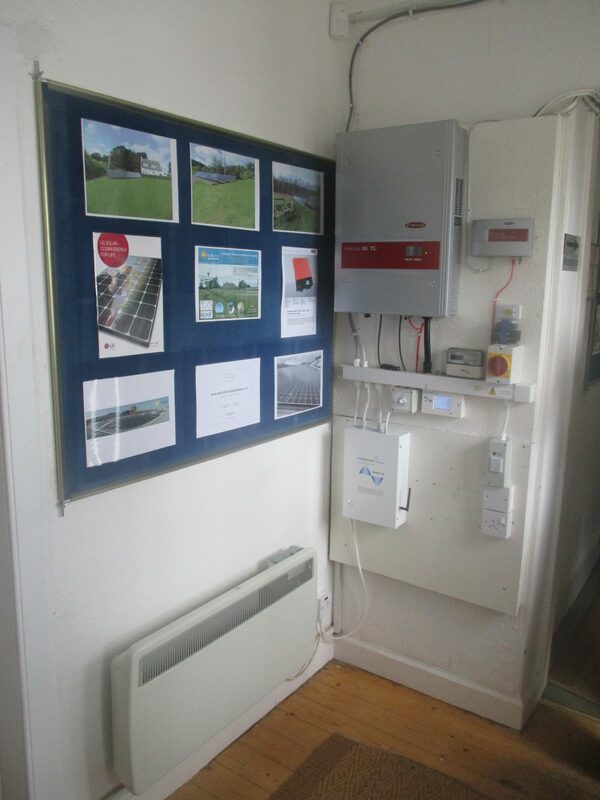 We are confident that the advantage in SolarEdge optimising our system will outweigh these losses. -Decreased peak inverted power. With DC coupled the maximum load covered by the battery system is the single inverter output, in our case 3.6kW (16A) of our grid connection. With AC Coupled, if the generator was also outputting, the peak load would be the sum of the generation plus the max power from the battery. We do not think that this will equate to much of a disadvantage for our system, but definitely a consideration in some situations. We felt that the Tesla Powerwall was suitable for us due to the high charging and discharging power available compared to others on the market. This makes best use of generation from the South facing array, as well as covering peak demands in the office (too much tea and coffee!!). The whole system previously and going forward has monitoring of various descriptions, so any advantages or disadvantages will be found! A bit of a spruce up to the installation/test set up included, we think the finished product is stunning. We have chosen to install it indoors, in our hallway, as part of our complete installation. However, it’s much more suited to going in a garage, and is actually designed and built with being installed externally in mind. Lots of options to best suit your installation. On getting set up, everything appeared to work really nicely. However, the weather did not help, with just a short spell of sun to get some charging done. We will keep updates coming on performance (mostly on Facebook, so give us a like to keep informed! ), and do get in touch if you would like access to our monitoring to see for yourself how it performs. We would also be happy to welcome you along for a look – just be sure to give us a ring to make sure there’s somebody around to give you a demo and have a chat about what the Tesla Powerwall can do for you.